Juan wrote: I'd be looking at worn rings myself. Now you mention it, mine went the same way when the rings were gummed up. Certainly worth a look. The price they're at now, it's worth considering one of the new manufacturers. The pay and conditions of the average UK worker are certainly heading in that direction so you could be right. 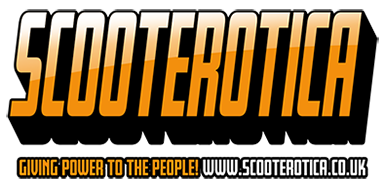 Almost all scooter spares come from Europe or the far East. That means they're priced in Euros or Dollars. Since the EU referendum the pound value has crashed so they've all got more expensive. My wife's business buys as lot of stuff from the states and the exchange rate is killing her. Even if they are still trading the state of the pound against the dollar is so poor at the moment that their stuff is no longer the bargain it once was. Remember that if you get hit with import duty as well, thats even more expense.